This stylish nine light chandelier features a smooth flowing design with metalwork finished in oil rubbed bronze and beautiful light amber glass shades. Upswept Arms Topped With hand blown Opal Etched Glass Shades, The Addison Collection Is Sure To Please. Addison Features A Transitional Design That Will Complement Any Style Of Dicor. Effortlessly Lovely! Alexis 6 light chandlier with hand blown opal glass shades are held in place by metal strapping and perched upon simple, upswept arms. This light fits most design styles and includes other lights in the family. In a oil rubbed bronze finish. A big chandelier with 9 lights accomompnaied by hand blown opal glass shades that are held in place by metal strapping and perched upon simple, upswept arms . Poished Nickel finish. Update Your Space With The Mia Collection Of Lighting. Sweeping, Curved Frame In Oil-Rubbed Bronze With Hand Blown Cased Opal Etched Shades. Centrifugal Frosting Inside the shade and Solid Paint Outside. 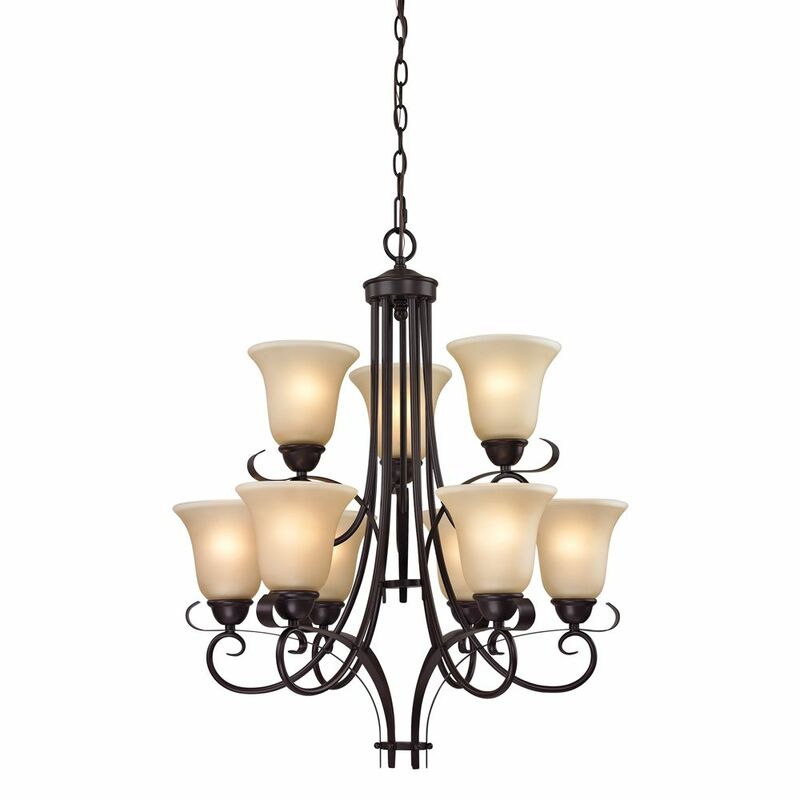 9 Light Chandelier In Oil Rubbed Bronze This stylish nine light chandelier features a smooth flowing design with metalwork finished in oil rubbed bronze and beautiful light amber glass shades.